iSportconnect, the worlds biggest social network for sports business executives has announced today an exclusive partnership with Israeli software company Visual Domains which has developed a unique technology, “Venus”, capable of organising information in a three dimensional space. Through its homogenous set of mobile solutions, social solutions and a new form of Augmented Reality application, Venus AR, the Venus platform offers a new sports and entertainment experience. The partnership will mean Visual Domains has a one-stop entry to the global business of sports as it seeks to develop relationships with rights holders across the globe. The partnership will be launched at iSportconnect’s Digital Media and Technology Masterclass event in Lausanne on 30th September with presentations from the company’s founder and CEO Yoav Shefi. To learn more about Visual Domains and "Venus Augmented Reality" including presentation videos, visit the website here. Sports Media Gaming broker unique partnership between world's biggest sports business social network and world's fastest growing sports fans network. iSportconnect, the world’s largest private network for sport business professionals, has today announced an exclusive partnership with fast-growing sports social network, Sportlobster. The deal sees Sportlobster become the official sports social network of iSportconnect in an initial 12-month partnership. Sportlobster will have a one-stop entry to the global business of sports, as it seeks to expand its relationships with rights holders across the globe. business introductions for Sportlobster, mutually exchange content from their respective TV platforms and deliver topical issues, which are important to fans, straight to the decision-makers in sport. Sportlobster launched in April 2013, but now has more than 1.7 million users and ambassadors include Cristiano Ronaldo, Giorgio Chiellini, Michael Owen, George Groves and Natalie Pinkham. The deal was brokered by leading independent sports marketing agency, Sports Media Gaming. 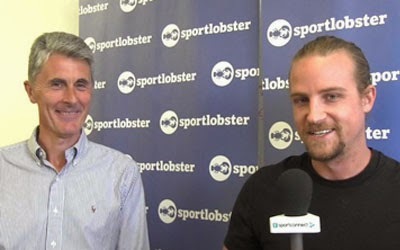 Sportlobster co-founder and COO Arron Shepherd said: “In a short space of time, we have built up over 1 million users and are rapidly expanding our platform and services to sports bodies around the world. Founder and CEO of iSportconnect Sree Varma added: “Sportlobster is a highly complementary business to ours. We share the same vision of developing social networks dedicated to sport, as we go for the business executives and they target the fans.